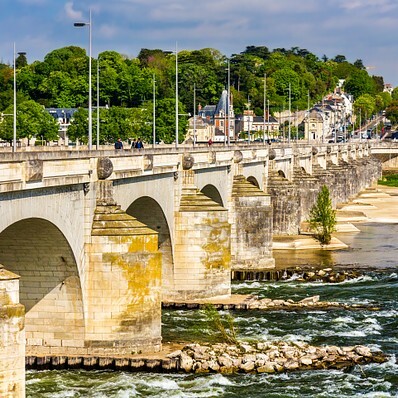 The bright, lively capital of the Loire Valley region is nestled between two rivers: the Loire and the Cher, with the picturesque Vieux Tours old quarter lying on the long, narrow peninsula. Brilliant modern architecture contrasts with an array of historic buildings, with fine food and wine famed all over France. Yarmouth, on the coast of Cape Cod, is a masterfully planned and historically rife city. Three villages comprise Yarmouth, with each reflecting over three centuries’ worth of culture, tradition, and splendor. 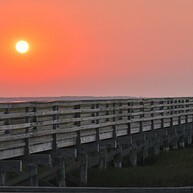 Plan a vacation around the unique attractions among West Yarmouth, Yarmouth Port, and South Yarmouth. Untouched archipelago, fantastic swimming, picturesque town settings and entertainment! Västervik on the east coast of Småland is Sweden at its best. Fantastic Småland nature with leafy, green meadows and grazing cows. A small-town idyll. Then there is Sweden's most beautiful archipelago. It is this mix that makes it so exciting. Before rising to global and national significance with the arrival of the 2002 Olympic Winter Games, Park City, Utah was a relatively unknown gem of the west. Residents adored the area for its abundance of recreational opportunities, from hiking and biking, to skiing and snowboarding. This opportunity was capitalized upon during the 2002 Olympic Winter Games, which was consequently deemed the most successful in Winter Olympics history. In the very heart of the South Pacific lies Tonga, one of the most scenic and unspoiled of the Pacific Island nations, comprising of 176 coral and volcanic islands, only 36 of which are inhabited. The ancient Kingdom of Tonga is known for being the oldest and last remaining Polynesian monarchy, and its friendly and welcoming people, along with deserted beaches, enchanting festivals and amazing coral reefs, are some of the Kingdom's finest assets. 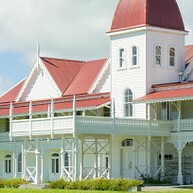 With its unique mix of Creole culture and European cosmopolitanism, the French overseas territory of Martinique, and in particular the capital of Fort-de-France, has just the right blend of tradition and sophistication. First-class shopping and dining combine with a fascinating artistic legacy in a quickly developing city, where modern construction projects are reinvigorating urban life. But the main draw remains the surrounding natural beauty of the island, which, with its looming volcanic peak, lush tropical rain forests and picture-perfect beaches, has captivated visitors for centuries. A combination of big city comforts, good weather and a laid-back approach to life make Perth one of the most livable cities in the world. It is a youthful and cosmopolitan city. In terms of entertainment, nightlife and cultural activities it can stand up to even the fiercest competition. 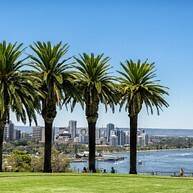 When it comes to food, Perth raises the bar, boasting fabulous beachfront restaurants, succulent seafood and some of the country’s best vineyards. An excellent public transportation system allows visitors to explore the city easily, despite its remote location. 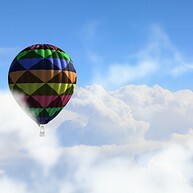 Park City Balloon Adventures offers visitors stunning, memorable hot-air balloon rides. Choose from ½ hour, 1 hour and Wasatch mountain adventure flight. Enjoy continental breakfast, champagne and flight certificates. Park City Balloon Adventures fly in the mornings and operate all year. Birmingham, the second largest city in Britain, served as inspiration for J.R.R. Tolkien to write the celebrated fantasy fiction "The Lord of the Rings". The city is renowned for its dining scene that will satisfy the most demanding palates and, thanks to the many attractions, tourists are sure to keep busy. With world-class shopping centres all fashionistas will leave the city with a smile, and when the night falls there is an exciting nightlife to discover. 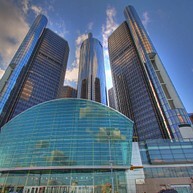 Better known as ‘Motor City’, Detroit is popular worldwide for its cars, Motown history and as an important center of African-American culture in the US. Birthplace of the Ford Motor Company, Detroit received its nickname of ‘Motor City’ thanks to its mass production of motor vehicles on an assembly line. The city has thrived despite its somewhat negative reputation in recent times, developing into a dynamic metropolis with heaps to offer visitors. Artists and singers have celebrated Motortown for its charm. Join a Tongatapu Island Tour to see the Royal Palace, Royal Tombs, the Blow Holes, Flying foxes and, on the western side of the island, the enthralling Ha’amonga Trilithon, the Stonehenge of the South Pacific and the ancient capital of Mu’a with its fascinating Terrace Tombs on the East. A cosmopolitan melting pot of Eastern and Western influences, ethnicities and cultures, Karachi will enrapture all those who visit. With the warm waters of the Arabian sea lapping at its shores, a breathtaking mix of architectural styles and the warm welcoming hospitality of its people, Karachi will uplift the spirits and animate you with a glow that gives credence to its nickname as the “City of Lights." Penguin Island is a unique nature reserve, a home to Western Australia’s largest colony of little penguins and these are the smallest species of penguins in the world. The island is located 45 minutes south of Perth and 5 minutes ferry ride. 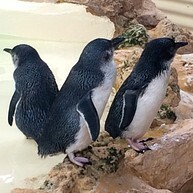 Not only has the island these cute animals but also beautiful beaches and dazzling, crystal clear waters. 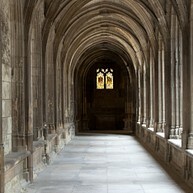 In these lovely Gothic-Renaissance cloisters, an elaborate open-sided staircase spirals up to elegant galleries. The round tower alongside was part of the city’s Roman wall. Beautiful views, spectacular scenery and free guided walks are offered at this park. About 3.000 of Western Australia’s 12.000 species of local flora are displayed here, with a unique diversity of wildflowers. Located one hour drive from Birmingham, Twycross Zoo is renowned as a specialist primate zoo where to discover a wide variety of monkeys and apes. But they have more than moneys, with more than 160 species and around 900 animals like leopards, meerkats, elephants, giraffes, birds, reptiles and many more you will for sure have a lot to explore.